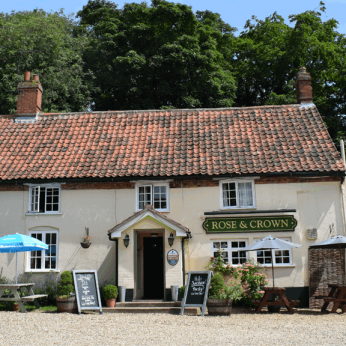 Situated just a few miles away from the north norfolk coast, The Rose & Crown harpley is an ideal location to spend your evening and indulge in some great timeless dishes cooked to order from fresh and local ingredients. At The Rose & Crown Harpley we will try our best to give you the best country dining experience in a rustic themed pub. We will always try and tailor the night to you and this includes specific meal requests - where possible - and also dietry or special requirements. Whether you are a local or a holidaymaker, or just wanting to try out a new restaurant, you will never get bored of the menu as it is updated daily with new and exciting starters, mains and deserts. We have a range of local ales and beers available with guest alcohols on tap changing regulalry, we also have on tap some larger names.